ATF is the premier sourcing event on the African Continent bringing together international suppliers, manufacturers, service providers and buyers all under one roof. Organised by Messe Frankfurt, the third largest trade fair company in the world with operations in over 50 countries and the global leader in textile fairs. Messe Frankfurt organises over 134 trade fairs around the world with over 90,000 exhibitors and roughly 3.5m visitors. 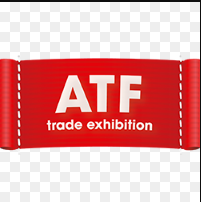 The main objective of ATF is to offer foreign manufacturers as well as local importers and service providers in these industries the opportunity to meet Southern African buyers’. More than 150 exhibitors from 10 different countries will be represented at this highly focused trade event. This international platform offers a wide product range covering the entire textile spectrum. From casual apparel to functional fabrics, kids wear, latest trends and formal clothing, attendees discover textiles of innovative structure, material mixes and colour palettes. Footwear, bags, belts, leather garments and leather accessories. Clothing fabrics, interlinings, trims, thread and yarn. Hosiery, socks, gloves and hats. IT solutions and inspection services. Sewing machinery, auxiliaries, fasteners and components. Service providers to the clothing, textile and footwear industries.